Kent State Student Media is the independent student media organization at Kent State University and its media partners span digital, print, radio and magazine publications. 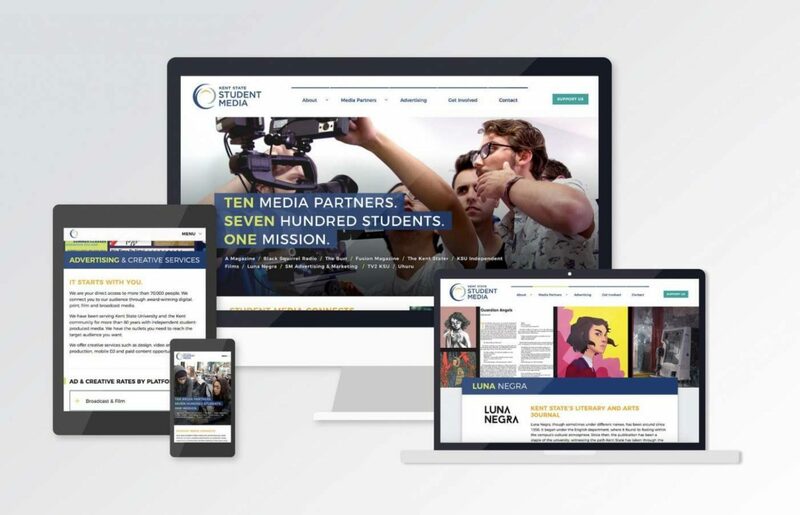 Student Media came to IdeaBase in need of a new website, and I integrated the project into my Advanced Responsive Web Design class, where I led designers, developers, content strategists and UX designers through the website design process from conceptual planning to launch. The website is used as a primary means of communication with Student Media advertisers and student employees.